On Facebook I asked for initial reactions to the photo above. What’s the first feeling you have after viewing it? First word that comes to your mind? Words varied but they boiled down to family, connection, family moments, and black and white. Guys, that’s what it’s about. 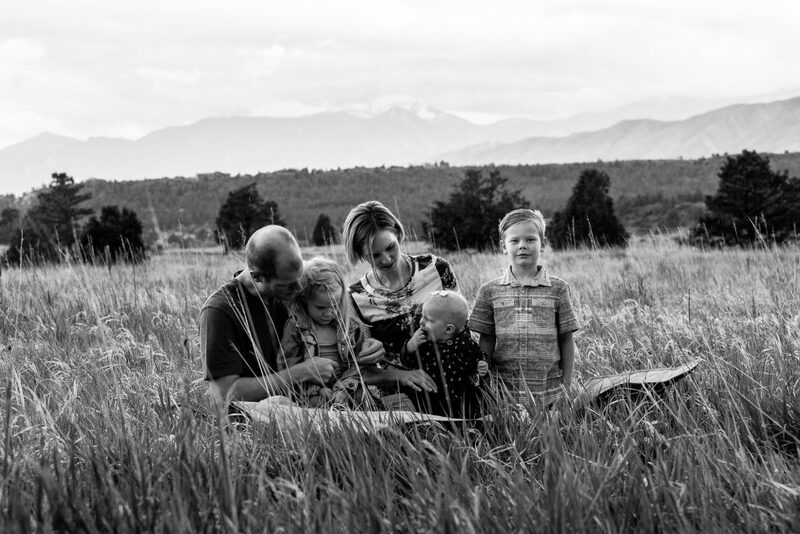 Capturing your family in that specific moment in time, for who they are and for how you are as a family. Your quirks, your loves, your snuggles, your penchant for the UNO game and eskimo kisses. In twelve years from now, when Daphne is in the throws of teenage rebellion, seeing her so very loved and attended to in dad’s arms will mean even more. In twenty years from now, when Daphne’s kids coming flying through your door, “Grandma, grandma, we’re here!,” and the excitement of the visit reaches a crescendo, it’s in the quiet moments that the grandkids will study these family portraits and begin to see their family legacy, their mom has a little girl, and ask questions about who she was and what she liked. Family portraits are meant to be hung on the wall and enjoyed now but, more importantly, cherished and treasured by the generations to come. I love how Camille is tucked lovingly on her mom’s lap but still looks over to big sister for cues and answers. This probably won’t change for the next 20 years. Daphne is touching and interacting with dad, remaining connected to him, as she did through out our entire session. Then, Miles. Oh sweet Miles. Just look at him! The photograph captures it all. These are the moments I capture. The art I create. Yes, I’ll always take and share a few of everyone looking at the camera. The ones that make my heart sing though, the ones that tell your family story, the ones you’ll want to look back on when your littles aren’t so little, are these moments. The type of image that captures your family and who they are. What others may see as ordinary, I see as your extraordinary. I really love this black and white. I think it adds to the emotion in the image. Absolutely beautiful image. And what a great landscape! Love! I love capturing connection! It’s a precious picture. The little boy just captures the heart with that sweet little smile looking directly at you.